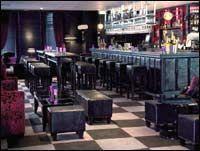 Malmaison Aberdeen has all the usual Malmaison style and flair for design. The hotel has 79 luxurious rooms and suites, some with private terraces. All our rooms have the complete set of Mal ingredients – great beds, moody lighting, drench showers, fast and free internet access, CD/DVD players, satellite TV, serious wines and naughty nibbles. Other little luxuries include fast internet access, same-day laundry, bespoke toiletries that you are encouraged to take away with you and 24 hour room service for breakfast, dinner or those midnight munchies. The popular Bar, complete with its own whisky snug and walk-in whisky pantry, is an ideal place for some relaxing drinks. Dine in the Brasserie while watching the chefs at work on the open grill could be a whole new experience for you. If you prefer to have more exclusive dining experiences Mal Aberdeen also has three private dining rooms with maximum capacity of 30 people for you to choose from. We also offer whisky and wine tasting sessions in our beautiful wine cellar or in the private dining rooms.